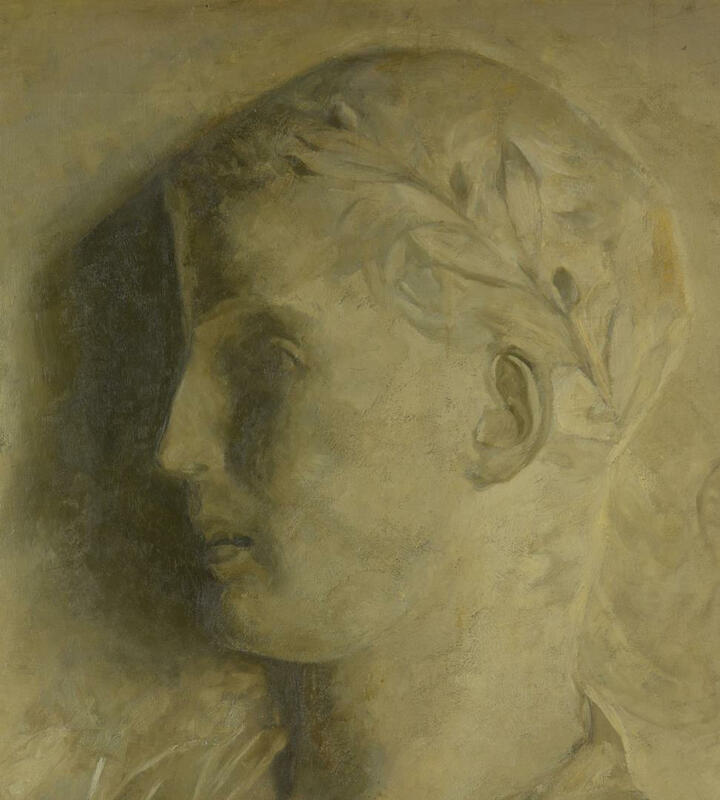 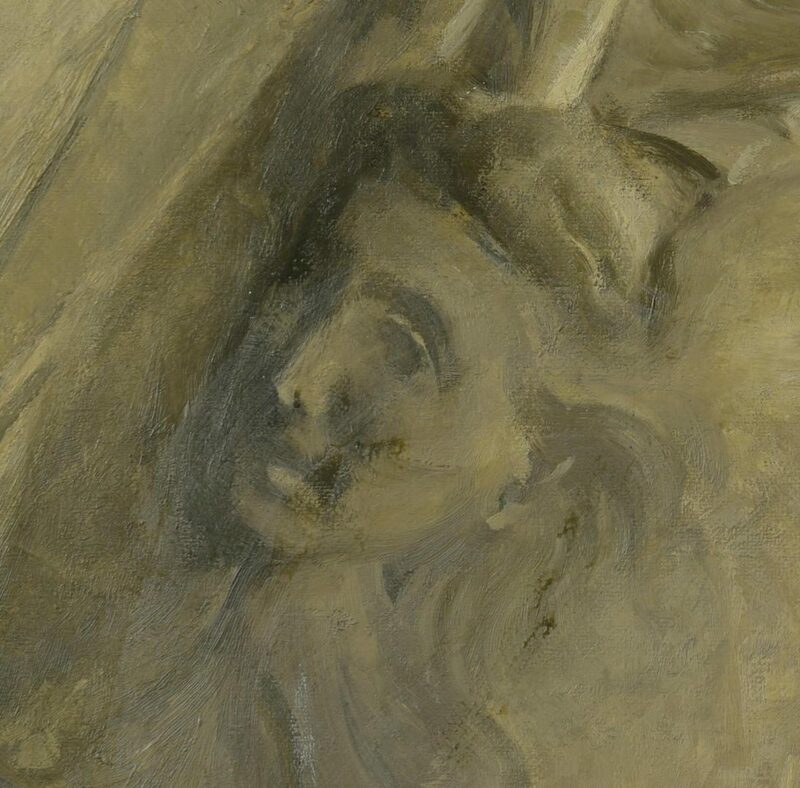 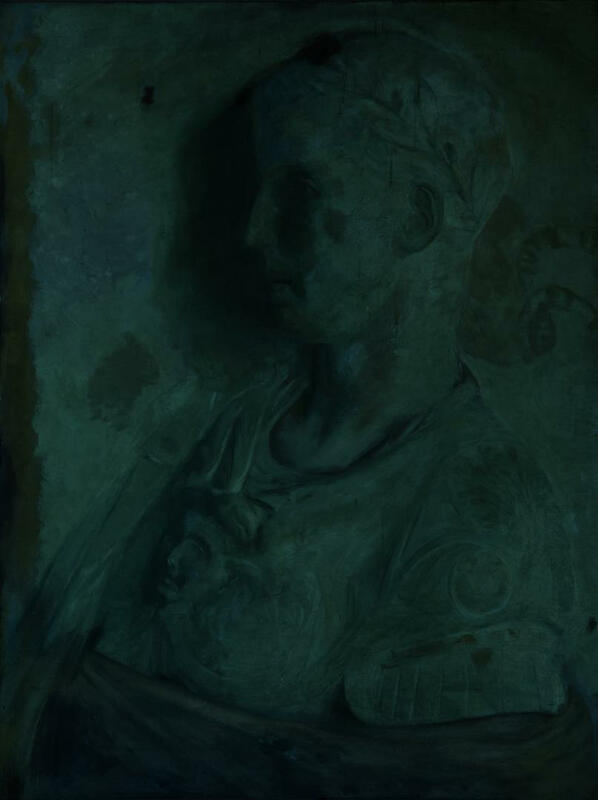 Unframed oil on canvas profile portrait depicting a Roman statesman or ruler, possibly after a sculpture or frieze, depicted wearing a laurel wreath and fitted with drape and a torso shield having a cherub bust. 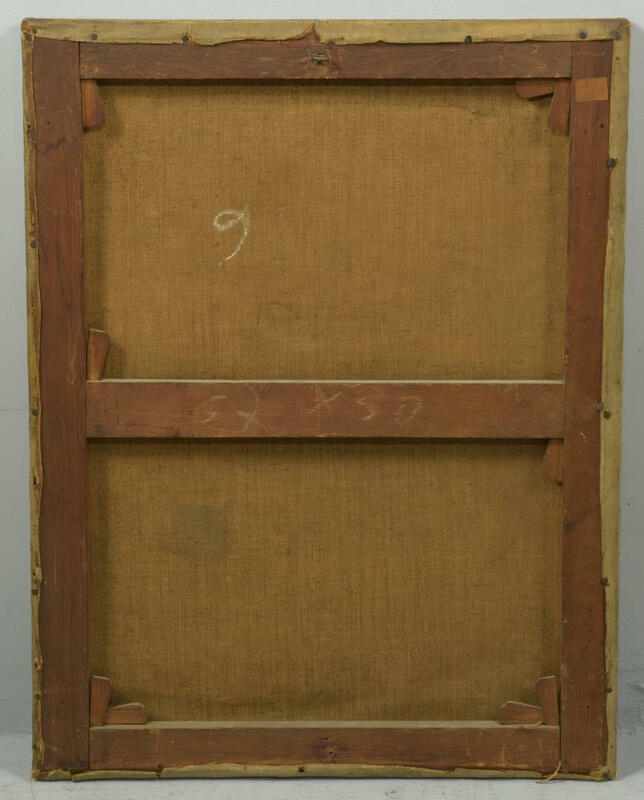 Old canvas and stretcher with label reading "AM 16" . 26" H x 19 3/4" W. Late 19th century. CONDITION: Some very minor chipping/losses to left and top edges. 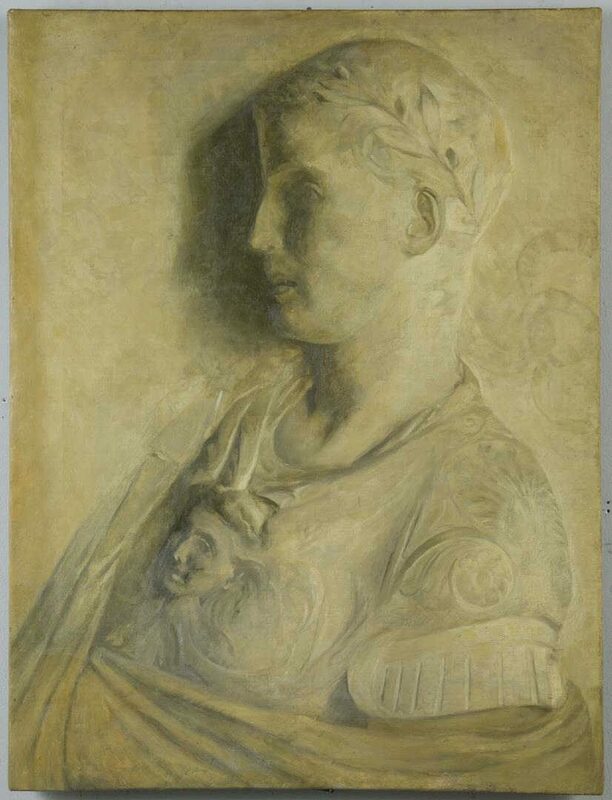 Surface grime to canvas. Unframed.